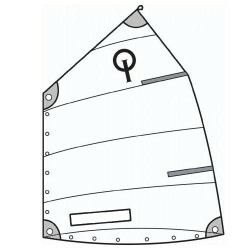 420 Dinghy adaptable sails. Mainsail, Jib, Symetrical spinnaker. Hobie Cat 16 adaptable sails. Mainsail, Jib, Asymetrical spinnaker. 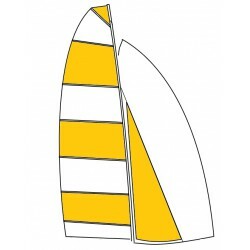 Hobie Cat 18 Formula adaptable sails. Mainsail, Jib, Asymetrical spinnaker. Hobie Cat 21 adaptable sails. Mainsail, Jib, Asymetrical spinnaker. Light sailing. Sails and accessories for catamaran and dinghy, main, jib, spinnaker, gennaker. 420, 470, 5o5, Buzz, Caravelle, Diablotin, Equipe, Europe, Open Bic, Optimist, Ponant, Topper, Vaurien, Zef, Laser 2000, Laser 4.7, Laser Bug, Laser Pico, Laser Radial, Laser Standard, Dart 15, Dart 16, Dart 18, Hobie Cat 13, Hobie Cat 14, Hobie Cat 15 Club, Hobie Cat 16, Hobie Cat 18 Formula, Hobie Cat 18 Pacific, Hobie Cat 21, Hobie Cat 21 Formula, Hobie Cat Bravo, Hobie Cat Dragoon, Hobie Cat T2 ou Tatoo, Hobbie Cat Teddy, Hobie Cat Twixxy, Hobie Cat Wave, Nacra 5.0, Nacra 5.5, Nacra 5.7, Nacra 5.8, Nacra 500, SL 15.5, SL 16, SL 5.2, Topaz 14, Topaz 16S, Open 570.